umm where is the gear shifter ? 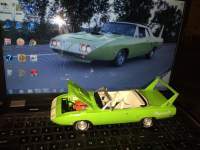 Superbird clone with a 1969 Road Runner speedometer??? Kansas Mafia Member , Overland park Ks.